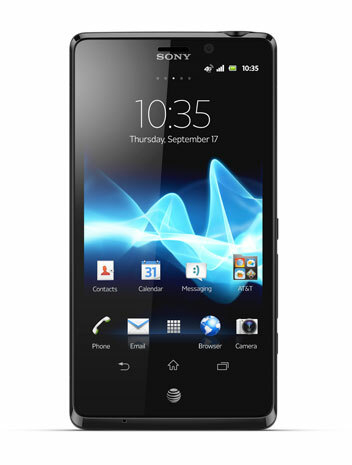 Sony Xperia TL finally goes official for AT&T Wireless as James Bond's official smartphone. According to a press release by AT&T 2 days back, the Sony Xperia TL will be featured in the upcoming James Bond film Skyfall. The appearance of the Sony Xperia TL in Skyfall was revealed alongside another announcement: that the Xperia TL has come to AT&T’s 4G LTE network in the United States. The Xperia TL is powered by a 1.5 GHz dual-core Qualcomm S4 Snapdragon processor, sports a 4.6-inch 720p HD Reality display, has got MHL connectivity, and a 13-megapixel rear camera with 1080p video recording. The device runs 4.0.4 Ice Cream Sandwich, but the press release states that it will be upgradable to Android 4.1 Jelly Bean after launch. Sony has also included its own software, such as its Movies, Album and Walkman apps. As the official James Bond smartphone, the device will come with preloaded exclusive content from the upcoming agent 007 movie "Skyfall." In addition, it comes preloaded with an Album app, which will let you find more than 25 editing options and pin any geo-tagged photos onto a traditional or satellite map view. Neither Sony nor AT&T have disclosed the pricing and release date of the Xperia TL. 0 Respones to "Sony Xperia TL for AT&T goes official as James Bond's phone"